If you are going to start with anything, start here. This can be free to start depending on which provided you use. Some even let you send email for free up to 2,000 subscribers, however we use Constant Contact and love what they provide. The first thing you will need to do is get your customers emails! You should be doing this year round. 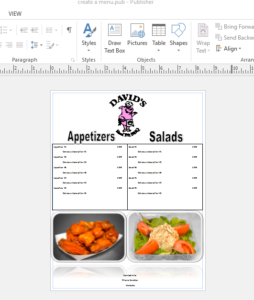 Make sure they know you have a newsletter by displaying it on your website and within your restaurant as well. Offering a coupon for signing up is enough to get a steady flow throughout the year. However if you need to get some names quickly you may need to run a promotion or giveaway to jump start your new list. 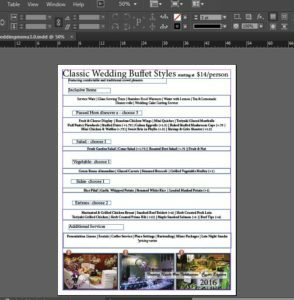 Once you get a decent sized list you need to start thinking about the design of your newsletter. Many companies may offer you a free template design for joining with them. Even if it doesn’t specifically state this on their offer never be afraid to ask! You want it to look nice and attractive, not boring or anything that will encourage your customers to unsubscribe. Sign up for other restaurants’ list and look at a couple of their designs to get ideas for your design as well as content ideas. You want them to look forward to what you have to say and want to open your email. This is one of the most important aspects of your email. It needs to get your customers attention or they will quickly delete the email. You can write a teaser for this but make sure you back it up in your email. You don’t want to trick your audience or they will lose trust in you. For example, one time we wanted to start a birthday club so I sent everyone on our list an email with subject “Happy Birthday!” and got a ton of opens. The email then stated “OK so I know it’s probably not your birthday but…” I was able to collect quite a few birthdays with this but I wouldn’t use this trickery too often. Sometimes being super obvious will get you a lot of opens. One of my subject lines was simply “Coupon inside” which received a higher than usual open rate. The problem is you can’t be too repetitive, so once you find one that works, it may work the next time but after that it might start trailing off. Just get creative. Another time we had a survey we wanted our customers to fill out and we were going to give them a coupon for their time “$5 for 5 min.” got us over 500 submissions for the survey when our list was around 4,000! 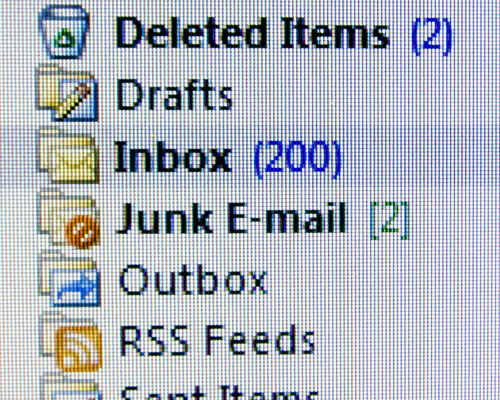 Considering only a little over 1,000 people actually opened the email we were stoked. You will want to write high quality engaging content to your customers. Don’t just try to sell them on your latest special. If you are launching a new product or special, create a story around it. We wanted to launch a new product that we hadn’t sold before, brisket, which was very popular in the BBQ world, we just didn’t do it at the time. So we put a countdown calendar in the restaurant and created a YouTube video describing the cooking process. Right before we launched we sent this video out to our email list as well as described the entire cooking process in the email. On the day of the launch we ran out of brisket and it has since become our number 3 seller. Not every product will launch like this, but I just wanted to show you how you want to try and get your customers excited about it! Some of the most engaging emails we have sent are ones that tell stories about what is happening with the restaurant and not just sales speak. This is a sneaky little trick that I guarantee your competition is not executing properly. I use this every time I send an email to increase our open rate from 18-22% to 26-30%! It is very simple, 3-5 days after you send out your initial email, you are going to send again only to those who did not open the first one. By doing this you will get about 25-50% of your initial open rate opening the second email. Why is that? 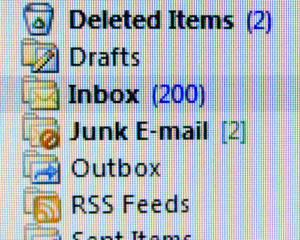 Like I said earlier people get a lot of email and they might not have had time to open yours. They most likely don’t even realize this second email is in fact, a second email. Constant Contact makes it very easy to do this. When viewing the stats for your email simply click on the “did not open” list and add them to a new list “copy of Jan newsletter” then send them a copy of the same email. It only takes 5 minutes and is well worth your time. Facebook is the most popular social media platform and they make it easy to get out in front of your customers. So if you haven’t already, go ahead and setup your business page with nice looking photos and logos. Sometimes Facebook will create a page for you if people are checking into your restaurant. If this is the case simply claim it and walk through the verification process. The first thing you need to do with your Facebook page is build an audience, just like with any of your other lists. You can paint your store with messages asking your customers to like your page and send out endless emails but this process takes a long time to build the list. After two years of doing all kinds of creative marketing (or at least we thought it was creative) our Facebook page had only grown to 3,000 likes. Finally we decided to test out an ad on Facebook for new page likes. We only spent $5 a day and we ran it for 30 days. We averaged close to 20 new likes a day or about $.25/like. We let this run four about a year before it started to slow down but our list had grown to 10,000! Don’t feel like this is cheating either, those companies that go viral are very few and far between. No one is forcing your customer to like your page, they simply see the ad and have the option of clicking on it or not. The next thing you need to do after you have an audience or as you build you audience is get some content up! Facebook got smart recently and will only show your posts to a very small percentage of your audience. Sometimes even less than 1%. However, the more engaging your content is the more it will be shown to your audience. For example if you post a video that gets a bunch of likes, shares or comments to the first small audience that views it, Facebook will continue to show it to more of your customers. Most of the time however, you will need to boost your posts. This simply means pay for them to be shown to your customers. For only $1-2 you can increase your views from 100-200 to 500-600. You will need to spend some time scheduling out your post so you don’t have to think about posting every single day. I like to create a 30 day template in Excel and then schedule my posts 1-2 weeks in advance, however there would be nothing wrong with going the full 30 days. Just make sure you are able to receive notifications on your phone from their app or email you can respond to comments/messages in a timely manner. I like to use YouTube to show our authority in our niche. We cook BBQ so we teach people how to BBQ with our YouTube videos. If you are only trying to sell in your videos, your customers will not appreciate it. You want them to think of you when they are thinking of your niche. It will still sell your product/restaurant. For example we were offering smoked wings for a limited time. So we made a video showing them how to brine the wings. So when people see the video they know we are now offering wings but they also learn how to do it on their own. YouTube takes time just like with the others to build an audience. Asking people to subscribe is just like asking them to join any other list, a painful process. However the more active you are and the better your content the easier it will be to build a following. As you get more involved with different areas of the social media world you can use one to drive traffic to the other. Send an email with your YouTube link, post on Facebook with your YouTube link, etc. 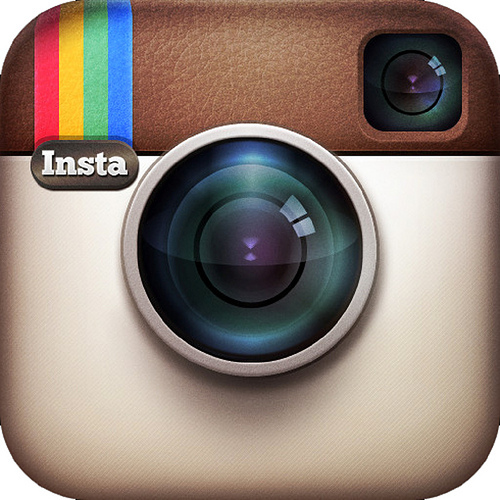 Instagram is all about pictures. Any decent smartphone will be all you need to get going here. Plus they have a ton of filters you can use on the pictures to make them look nice. This might be good to pass off to a kitchen manager or someone who is around the food a lot and is familiar with Instagram. 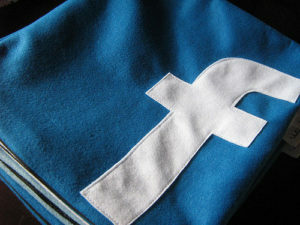 Facebook is now connected with Instagram so you will see some benefit of being on both. We use our Instagram account mainly to promote catering so we have our catering manager, who is around most of the events to post to our account. You can use hashtags to label the picture. This will help your pictures show up when people search for different terms. That’s right, I’m telling you to ask for reviews. Before you do that though you need to claim your business on every review site out there so you can start managing your reviews. These are a few of the main review sites that people will use to rate your restaurant. Once you get signed up for them you may want to go through and respond to any negative reviews that are already up. Most of the time you should simply apologize, offer a resolution and thank them for their feedback. Most people will appreciate you just acknowledging them. However some will continue to be unreasonable, very few of them, but don’t get into an argument on the internet with these customers. There is no way you will win. Besides responding to negative reviews and maybe thanking the occasional positive review, you need to get in the habit of asking your customers for reviews. If you get stopped in the dining room by some regulars expressing their satisfaction, simply ask them if they would leave you a review online. Let them know it would do wonders for your online reputation. Download our eBook for even more restaurant marketing strategies! Be careful asking your customers from an email or Facebook post. Some sites, Yelp in particular, will not count reviews towards your ratings if they see it came from a link or if too many come too quickly. You are better off asking customers individually or using one of your 4 wall displays to remind them to leave you a review. A couple times a year we use a spot on our table toppers to ask for reviews and we let them know one winner will receive a $100 coupon. We are not asking for 5 star reviews, we are simply asking for reviews in general so I’m completely OK with this. If you wait for them to come naturally you will go through periods where you feel like all you are getting is negative reviews. I think this is how the world works these days. People seem so quick to get on the computer and blast you when they are upset instead of talking to a manager on site. Those who are happy with your establishment just need a little encouragement to post that review. That is why I always like to ask the negative reviewers if they spoke with a manager so I know who to follow up with. 9 times out of 10 they did not. I feel like this lets people know if they have a problem, just tell us while you are there! Of course we want to make it right, just give us a chance. However, people feel powerful behind the computer so most won’t say anything and will just go home and vent on their favorite review site. Make it a habit to manage your reviews and you will see improvements just like in any other area of your business. 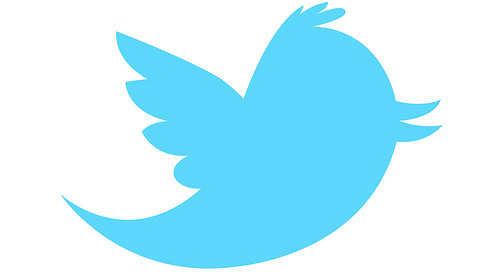 Twitter may be big or may not be so big for your business. 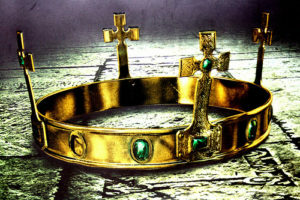 You can try advertising for new followers just like with Facebook, if you are happy with the response then let it ride. We did not get anywhere near the same results so we don’t advertise anymore on twitter but we still actively post. Mainly via our Facebook account. You can connect the two so that when you post on one it automatically makes the same post on the other. To use twitter effectively you should post 5-6 times a day where Facebook is usually only once day. It really goes back to knowing your audience. Most of our customers are in the 40-65 year old range so they are mainly on Facebook therefore that is where we spend most of our efforts. If you have a large millennial following then I would expect you to get great interaction on Twitter. Blogging, like YouTube is another great way to establish your authority in your niche. We like to provide BBQ tips & recipes with our blog to show our customers we know what we are doing. It can also be a great way to drive traffic to your site which you can eventually make money with. You can encourage visitors to sign up for you newsletter to grow your list which will eventually lead to more traffic in the store. You can create an ecommerce section of your site where you could sell your merchandise from your restaurant. There are billions of people searching the internet multiple times day, don’t you want a piece of that action? 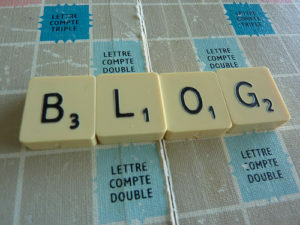 For an easy to follow training course on how to get your blog up and receiving traffic you can check out this website. Once you get your blog up and rolling it will teach you how to do keyword research. This is where you can see what people are already searching for in your niche. This will give you ideas to write about since it is much easier to fill demand than create it. Now you have a road map for your social media and online marketing strategy, so get started today! Get your newsletter setup and Facebook page started today then, when you are ready, start adding some of these other items to your mix. I promise if you get all of these items going you will be ahead of 90% of your competitors. Next Next post: Drop Off Catering, Add Quick and Easy Sales!